Roger Federer gave tennis his everything. Saying that he fell short on his recent defeat against Rafael Nadal would be an insult. He did not fell short. Federer was just on his way out, passing the torch to his successor. Most of us (writer included) wanted to see Federer win it one more time. Just one more notch under his belt. And admiringly, he braved where other would have easily faltered and gave Nadal a match to remember. Of course, it was Nadal who proved to be the better player in their recent encounters. I wouldn’t say that Nadal is now the best tennis player there is. That accolade is still reserved for the great Pete Sampras. But with his relentless to break even the top-ranking players’ mindset and his refusal to give in to defeat makes Nadal an elite player in the upper echelons of tennis. At the age of 22, his achievements are now bordering over the legendary. If he goes on like this, then there would be no doubt he will take the best player mantle from Sampras. 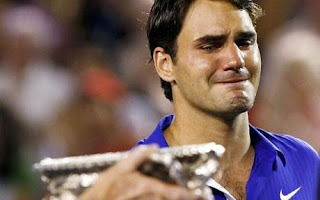 In ending, I would like to thank Roger Federer for giving us a good show and God bless Rafael Nadal’s career. i really hope federer wins the french open, but yes you are right, with nadal there, it's a difficult task ahead for our hero! 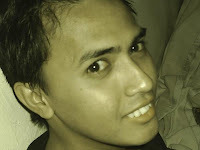 An avid follower of the Sweet Science, Kenneth has been covering the sport since 2005, with works appearing in local newspapers and newsletters in his home city and surrounding areas of Cagayan de Oro. Also known as the Frustrated Sports Analyst, Kenneth's works also appear in Bleacher Report's boxing category, with some articles already featured and syndicated by CBSSports.com.